The thoracic outlet is a small space between the collarbone (clavicle) and the first rib. Thoracic outlet syndrome (TOS) is a group of disorders that involve compression, injury, or irritation of the nerves, blood vessels, or veins in the thoracic outlet. This can cause pain in the neck, shoulders, into the arms and numbness in the fingers. 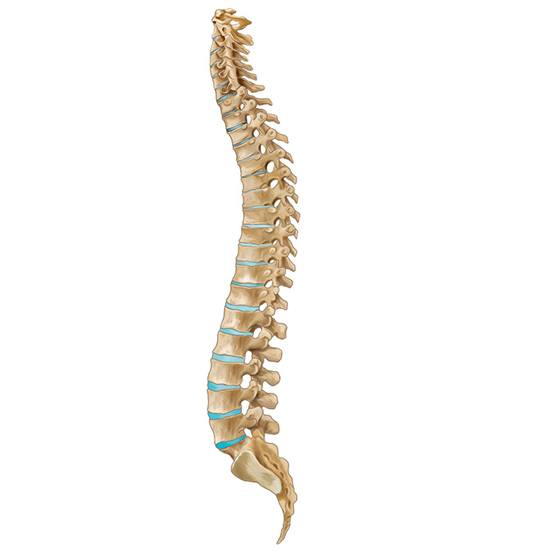 Anatomical defects: Inherited defects present at birth, including a cervical rib—an extra rib located above the first rib—or an abnormally tight fibrous band connecting the spine to the rib. Poor posture: Drooping of the shoulders or holding the head in a forward position can cause compression in the thoracic outlet area. Trauma: A traumatic event, such as a car accident, can cause internal changes that then compress the nerves in the thoracic outlet. Repetitive activity: Doing the same activity over and over can wear on the body’s tissues. You may notice symptoms of thoracic outlet syndrome if your job requires continuous repetition of a movement, such as typing on a computer for extended periods, working on an assembly line, or stocking shelves and repeatedly lifting things above your head. Another cause is the carrying of heavy shoulder bags or briefcases. In some cases, your health care provider may not be able to determine the exact cause of symptoms. What Are the Symptoms of TOS? The symptoms of thoracic outlet syndrome—as well as the intensity of any symptoms—vary between individuals and depend on the location of the compression site. Because TOS doesn't have unique symptoms, it can be difficult to diagnose. A detailed health history and thorough physical examination are the most important components in establishing the diagnosis of TOS. Your doctor of chiropractic may also recommend X-rays, MRI (magnetic resonance imaging), laboratory tests, or a nerve conduction velocity test if he or she suspects TOS. It is important for your provider to differentiate TOS from other conditions, such as carpal tunnel syndrome, shoulder tendinitis, and a herniated cervical disc—just to name a few of the many conditions that can cause signs and symptoms. In the vast majority of neurological TOS cases, a conservative, non-surgical approach to treatment is most effective, especially when the condition is diagnosed early. A chiropractic treatment plan for TOS may include a mix of joint mobilization/manipulation, physical therapy modalities, home stretching exercises, and soft-tissue therapy. Patients should avoid prolonged positions that cause them to hold their arms out or overhead. For example, avoid sleeping with the arm extended up behind the head. It is also helpful to have rest periods at work to minimize fatigue. Weight reduction can be helpful for obese patients. Patients should avoid sleeping on the stomach with arms above the head. They should also avoid repetitively lifting heavy objects. A home exercise program can be a very valuable aspect of any TOS treatment plan. Below are a few stretching exercises. All of these exercises should be performed slowly and carefully. Each position is taken to the point where a stretch, but no pain, is felt. Patients should not bounce to increase the length of their stretches in any of these positions. Corner Stretch — Stand facing the corner of the room (about one foot from the corner) with your hands at shoulder height, one on each wall. Lean into the corner until you feel a gentle stretch across your chest. Hold for five seconds. Neck Stretch — Stand tall with your arms at your side. Bend your head to the left and try to touch your left ear to your left shoulder. Do not move your shoulders as you do this. Hold for five seconds. Repeat on the other side. Shoulder Rolls — stand tall with your arms relaxed at your sides. Shrug your shoulders forward and up. Relax. Shrug your shoulders backward and up. Relax. Shrug your shoulders straight up. As you get stronger, you can hold 2.5-10kgs weights in each hand while conducting the shoulder exercises. Thoracic Extension — Lie face down. Clasp your hands behind your back. Lift your head and chest off the floor as high as you can while squeezing your shoulders blades together and tucking in your chin. Hold this position for a count of three seconds. Exhale as you return to the starting position. Overhead Raise — Stand tall with your arms straight out from your sides at shoulder level and with a 1kg. weight in each hand. Raise your arms until they meet over your head. Relax and repeat. Keep your elbows straight and maintain the position of the palms (the backs of the hands should approach one another, not the palms) while you are doing this exercise. Note: As strength improves, the weights should be made heavier, increasing to 3 to 5 kgs.